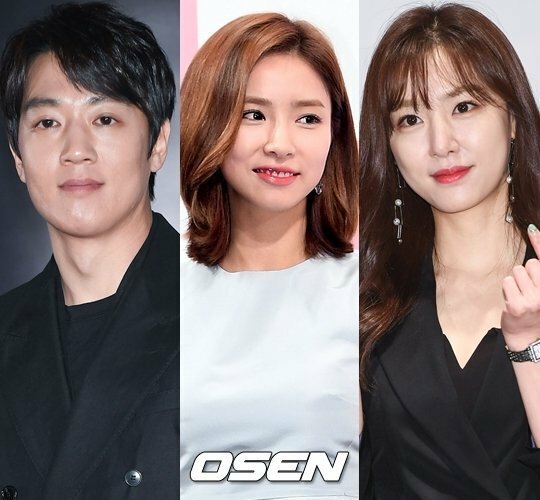 Kim Rae-won, Shin Se-kyung, and Seo Ji-hye participated in the first script reading for the KBS 2TV drama "Black Knight" in the KBS annex of Yeouido, Seoul. Director Han Sang-woo and Writer Kim In-yeong mastermind the drama about a pure man who accepts a dangerous destiny for the woman he loves. This drama is a reunion of Shin Se-kyung and Writer Kim In-yeong who both worked on "When A Man's in Love". Kim Rae-won was cast as Moon Soo-ho, a successful young businessman, Shin Se-kyung as Jeong Hae-ra, a travel agency employee, and Seo Ji-hye as Sharon, a designer. "Black Knight" is going begin filming immediately after the script reading and will be broadcast in December.